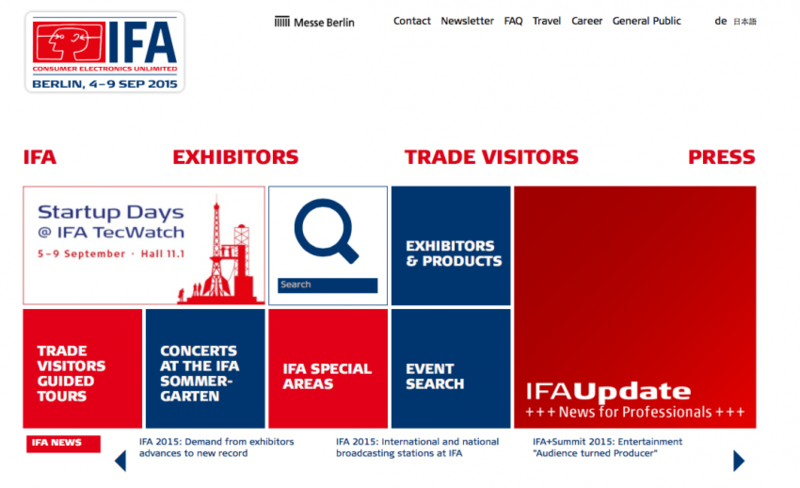 The show IFA in Berlin was a great event for consumer electronics and home appliances. And Wacom Europe was here at booth 105, Hall 12. No suspens. 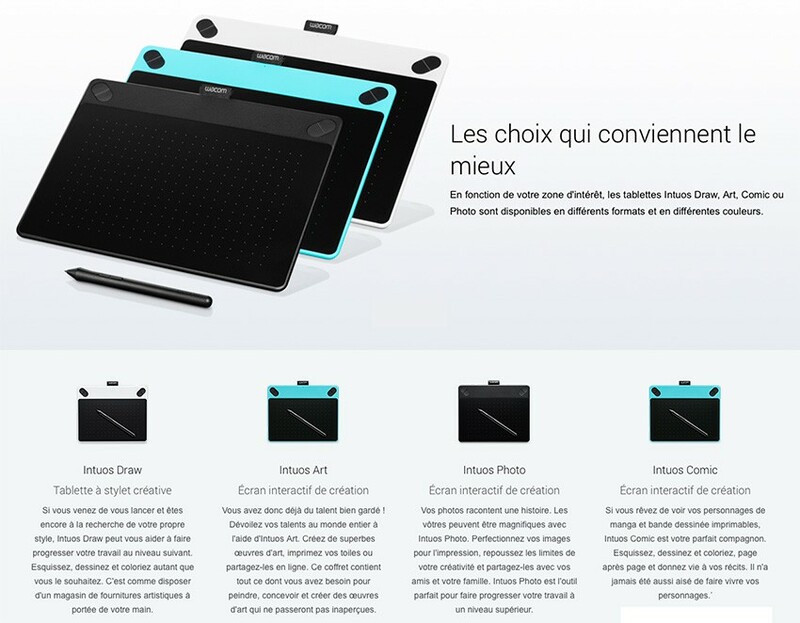 Wacom unveiled 3 news products. We will talk in details about all these all new stuffs in next posts but we give you a small introduction to every new Wacom product. The new semi professionnal graphic tablets Intuos are here with a new design, a new name dedicated to every model (Draw, Comic, Photo et Art) and a come back… We find again the same price range than previous range, a first price model without touch and with a Small size (name : Draw – 70$), two models with touch and with a Small size (Comic + Photo -100$) and one another model with two sizes, Small and Medium (Art -100€ and 200€). The touch models are available in 2 colors : black et blue mint. Therefore there are three Small size models. The differences between these models, this is the come-back of bundle : a tablet is associated to a software. The only Pen model (name : Draw – without touch and first price) get his soft too. In previous version, only Intuos Manga was sold with 2 softs. We hope there will be not the same trouble with downloading. 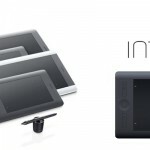 The new Intuos has always its 4 ExpressKeys and a wireless connexion (you have to buy the wireless pack). The change comes from the pen that looks now like a Intuos Pro’s Grip Pen… A cheap Grip Pen… Go go go to the Wacom eStore. 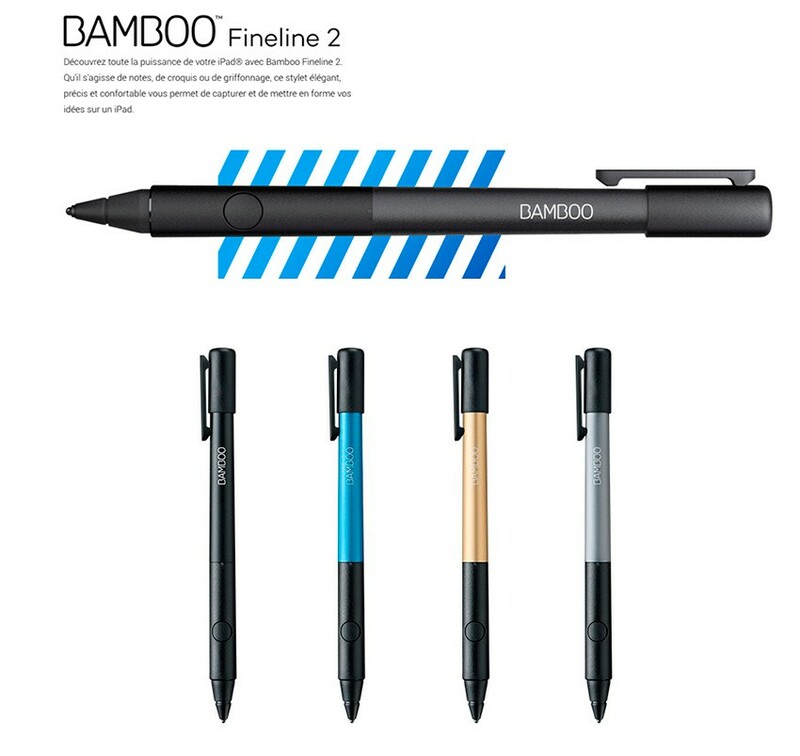 New product with the new range for Bamboo Fineline 2. These pen work with bluetooth technology (4.0) to get pressure on your iPad 1024 levels). Of course its also work only on compatible apps. You can choose 4 colors : blue (mint too? ), black, gold (very novel) and grey (anthracite…). Price : 60$. 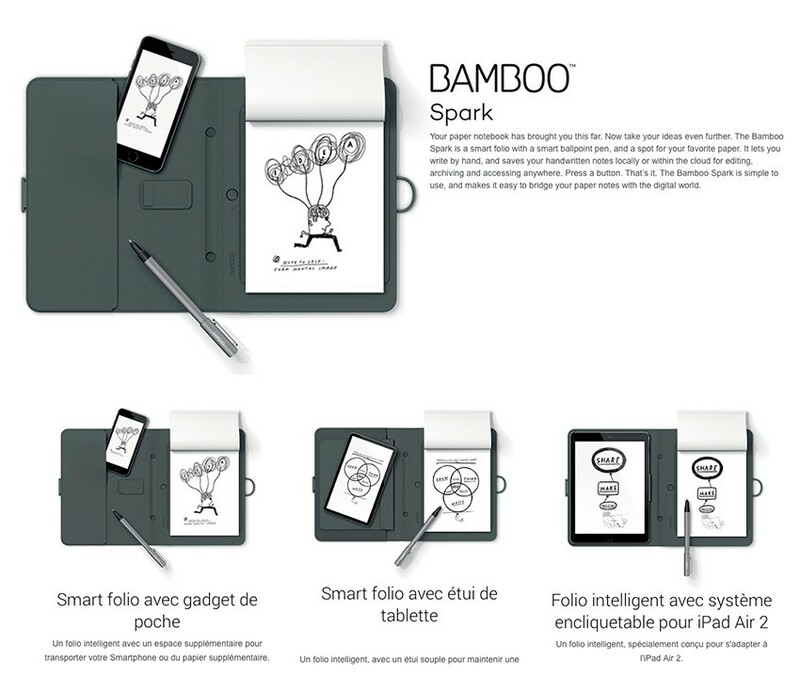 To end this post we can talk finally about the big new thing, Bamboo Spark, a digital A5-sized notebook (no use of word Small for it), that you can get in 3 models. In fact you have to choose between 3 different smart folios. One to carry your smartphone aka your iPhone, one to carry a 9,7 pouces tablet, on to carry you l’iPad Air 2. It works like the old product Inkling, with a pen drawing with real ink on real paper but all your drawing can be digitally saved inside Wacom cloud by the way of WILL techno. You can also save your doodles with the helps of apps, Bamboo Spark and Bamboo Paper, on iTunes Store and Play Store. Evernote and Dropzone can be also used. You can charge the battery of you pen by USB… Like Inkling. Beside its costs 160$ too. For you. The name code of Bamboo Spark was Apollo.